Olive has now retired from calling and dancing with the Ainsdale and Southport Clubs. She has kindly provided instructions for some of the dances she has written. 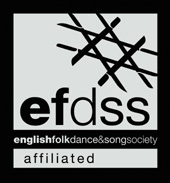 The dances listed below all have a "local" connection, being devised by members of folk dance clubs in the Mersey and Deeside area (MADFolk).